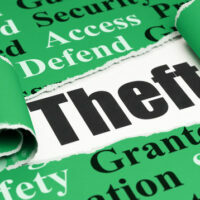 Many people become confused when hearing about the crimes of burglary, robbery, and theft. Without understanding Florida’s specific statutes, they may think burglary, robbery, and theft are different names for the same crime. However, these are specific and unique charges under Florida law. Without help from an experienced Kissimmee criminal defense attorney, it can be difficult to understand the differences between these offenses and the statutory punishments for each. The entering of a dwelling, structure, or conveyance like a vehicle, with the intent to commit an offense therein. However, it is not the crime of burglary if the premises are open to the public or the offender was licensed or invited into the premises. Remaining in a dwelling, structure, or conveyance with the intent to commit an offense within. Remaining in a dwelling, structure, or conveyance after permission has been revoked with the intent to commit an offense. Remaining in a dwelling, structure, or conveyance to commit or attempt to a commit a forcible felony. An individual can be convicted of burglarizing a home or business. Also, an individual does not have to commit the subsequent crime to be convicted of a burglary. The prosecutor simply needs to prove he or she intended to commit a crime within the premises. Under the statute §810.02(2)-(4) , burglary is a felony. The level of the felony depends on what happened during the commission of the crime. In many situations in which no one is hurt and the offender does not have a dangerous weapon, the felony is a third degree felony. If there is another person in the dwelling, yet the offender does not commit an assault or battery or have a dangerous weapon, then it will be a second degree felony. However, if someone is hurt or the offender has a weapon, then he or she will be charged with a first degree felony. when in the course of taking the money or property, there is the use of violence, force, assault, or fear. Robbery is an offense that can occur entirely separately or in addition to a burglary. For instance, when someone breaks into a home, he or she can use force or intimidation against the family in order to gain money, electronics, jewelry, and other valuables. If the individual broke into the house while no one was home and stole whatever was easily valuable and easily found, then he or she could be charged with burglary and theft, but not robbery. Anyone who has been charged with burglary, robbery, or theft should work with an experienced and skilled Kissimmee criminal defense lawyer from Salazar & Kelly Law Group, P.A. as soon as possible. We can explain the charges against you, the potential consequences, and your best options for defense.